There have been many people reporting that they receive error 0x80070057 when they attempt to update Windows 10 Anniversary Update. There are a few steps you could try to solve this issue. We will help you through them in this article. 5. Then click on Next and follow the on-screen instructions to complete the troubleshooting. Once you’ve done this, and the troubleshooting process has completed check if you can run Windows Updates once again. If not continue to step 2. 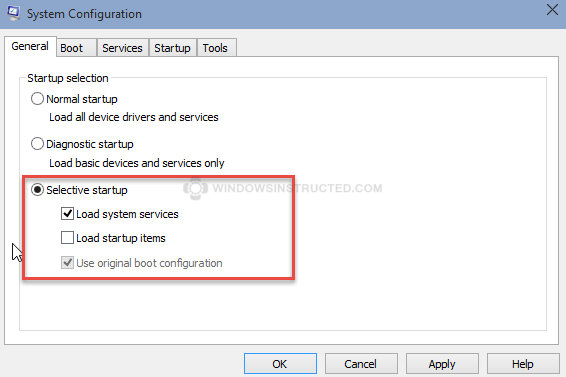 This step should really never be skipped, a very common reason for update problems, which also applies to 0x80004005, is that you have a service or program running that is causing problems with the Windows Update services or components of it and therefore causing 0x80004005. This can be diagnosed by clean booting your device and then try if updates are now successfully applying. 1. Right-click the Windows Logo in the bottom left corner of your screen. Or press the Windows + R key at the same time, and skip to step 3. 5. Then click on the Services tab. 7. 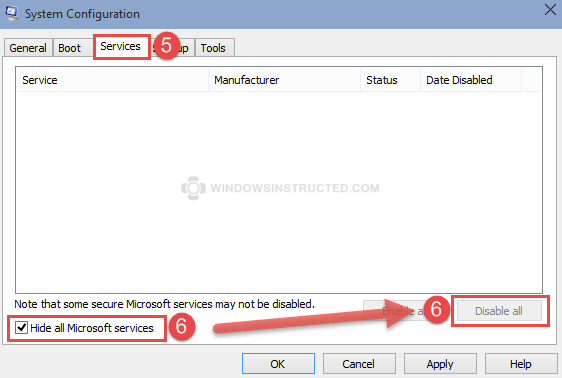 Close MSConfig by clicking on OK, and choose to Reboot your device. Now that all non-Microsoft services are disabled, we are going to try to apply the Windows Updates again, if they fail again, then go to the next step. In most cases the downloaded data is just corrupted and removing the already downloaded Windows Update data could solve the Windows Update Error 0x80004005 you’ve been receiving. Please do follow these steps very carefully as typo’s could lead to problems. Enter the following command: “net stop wuauserv” and hit enter. Enter the following command: “net stop cryptSvc” and hit enter. Enter the following command: “net stop bits” and hit enter. Enter the following command: “net stop msiserver” and hit enter. Enter the following command: “ren C:\Windows\SoftwareDistribution SoftwareDistribution.old” and hit enter. Enter the following command: “ren C:\Windows\System32\catroot2 catroot2.old” and hit enter. Enter the following command: “net start wuauserv” and hit enter. Enter the following command: “net start cryptSvc” and hit enter. Enter the following command: “net start bits” and hit enter. Enter the following command: “net start msiserver” and hit enter. Then try to run Windows Update again. If Windows Update is still not working, then visit our forums and ask for personalized support. 5. Wait for the program to go to the Verifying Download stage, once it hits 100%, immediately TURN OFF your WiFI or LAN connection! 6. The installation will get stuck around 2%-3%, wait a minute (really a minute) and then re-enable your internet connections. 7. The update now should be applied. By using the Windows 10 Media Creation tool we can create an ISO of the update and update from a disc. 3. Once the program has downloaded start it and follow all the steps. Wait for the update to complete. If even these steps fail then feel free to visit our forums for more help.